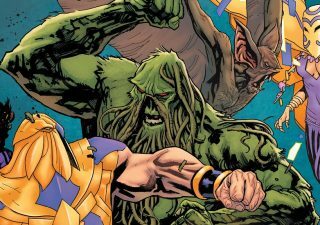 All-star team Scott Snyder and Francis Manapul return in this week’s Justice League #11 with part two of the “Drowned Earth” crossover. Things are still pretty hairy for our super-soggy-heroes, as they continue to struggle against a group of interstellar aquatic gods who have unleashed a deluge upon the earth. 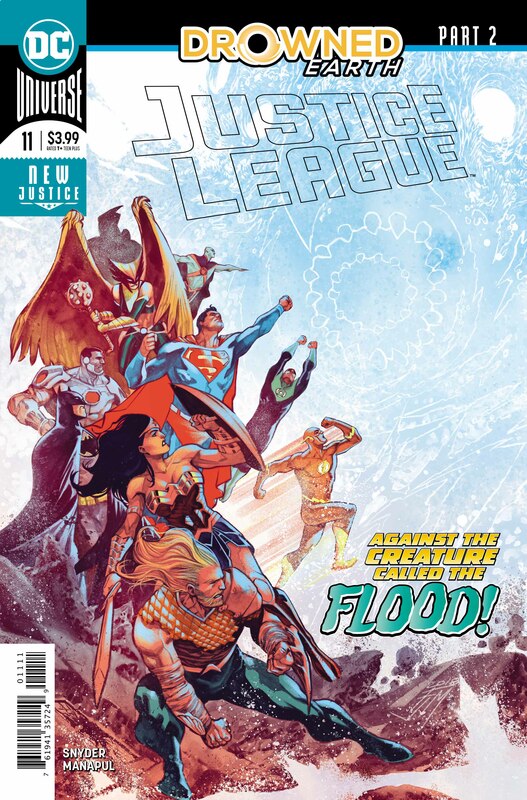 Grappling with the impact of their encounter with the sea god, Drogue, Superman and the Flash are on the run from aqua-zombie versions of League members. 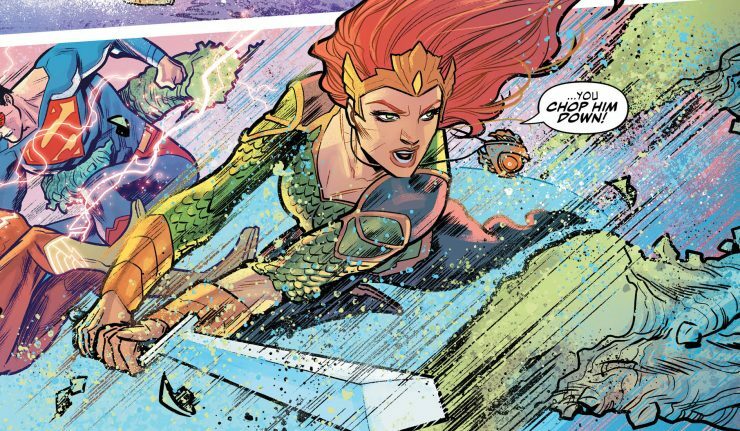 Mera appears and rescues our lads in distress, sweeping them off to search for the Tomb of Arion, ancient hero of Atlantis. According to Legend, Arion’s tomb holds a magical weapon, the Tear of Extinction, which he used to fend off the original alien invasion. 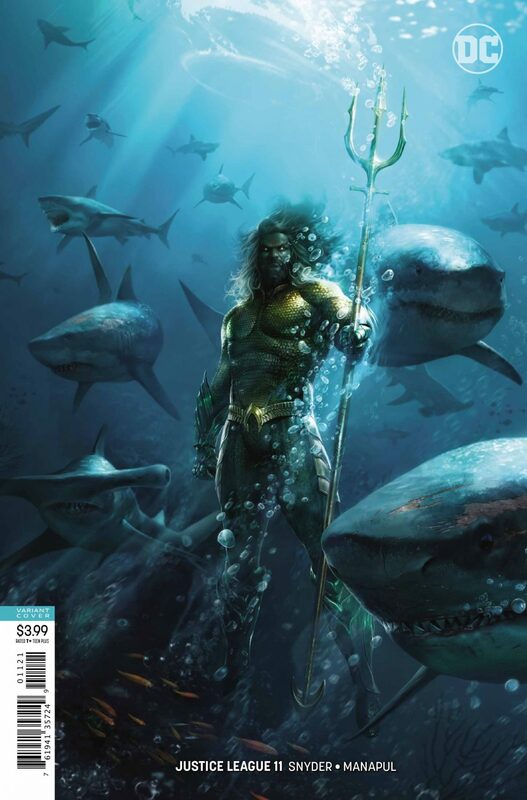 While Mera and company are off searching for the Tomb, Aquaman faces his own issues. Captured by the aforementioned gods, a de-powered Aquaman is facing execution. 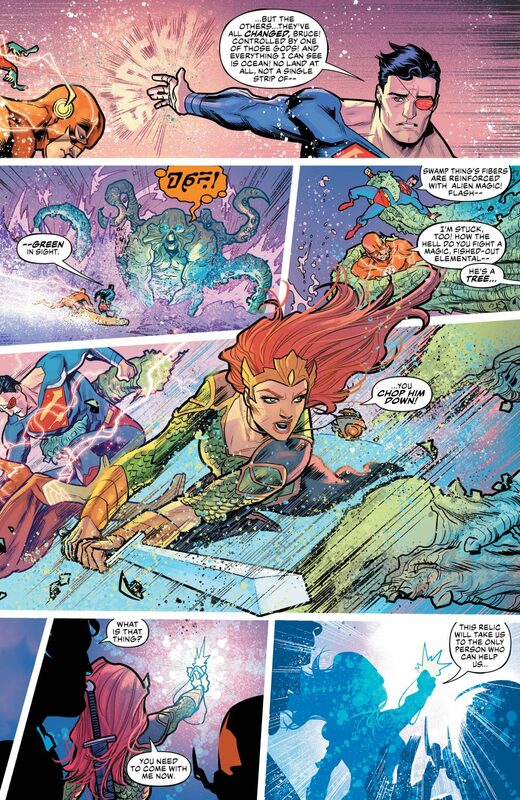 However, Aquaman does not face his demise but rather rescue at the hands of Wonder Woman. Having returned from the abyss at the end of part one, Wonder Woman frees Aquaman, recruiting him in her search for the slain god Poseidon. Yet once found, the deity is not particularly forthcoming with aid… to put it mildly. 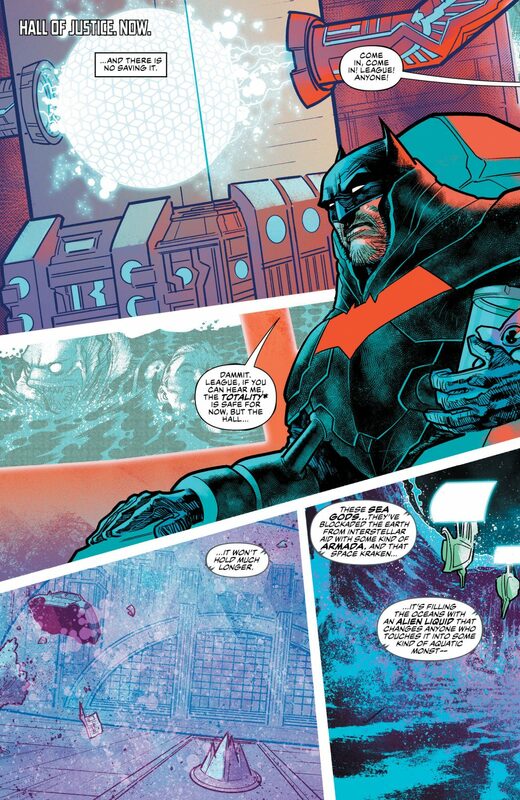 Meanwhile, back at the Hall of Justice (oh yeah… I totally just did that), Batman watches the earth slowly sink into chaos. 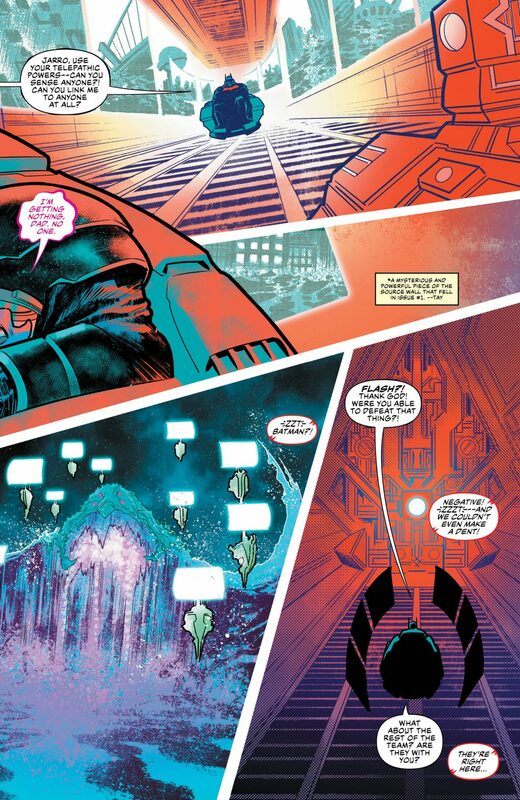 Forced to take monitor duty due to his injuries (see Justice League #6), the Dark Knight is immobile as the waters rise around the Hall. The issue ends with an amazing cliffhanger. The Legion of Doom appears, setting the stage for an epic showdown next issue. As usual, Snyder does an amazing job with his storytelling. Nevertheless, the writer’s commitment to empowering his female characters is impressive. Snyder turns the “Damsel in distress” motif on its head, as two of the three subplots in this issue involve strong female characters rescuing male heroes. Often such stunts would seem forced, but Snyder’s story feels natural. Of course, Wonder Woman would save Aquaman and Mera would rescue Superman and the Flash. Both of these characters are equal in strength and heroism to their male colleagues. Snyder’s script highlights this reality without coming across as preachy or moralistic. Rather, for this writer, it’s fact: women are strong. 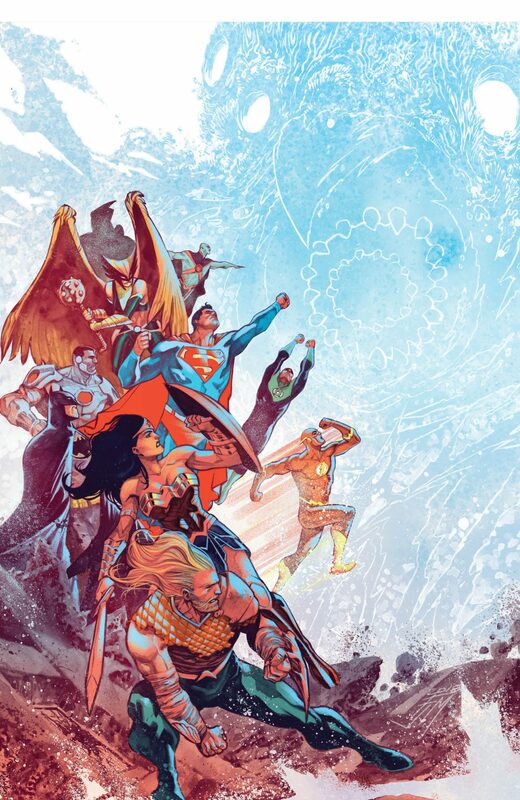 Francis Manapul’s art is always a delight to behold. Justice League #11 is no exception. “Drowned Earth” has highlighted his ability to handle any setting. In the past, Manapul has tackled Central City, Gotham, and Space. With”Drowned Earth” the artist showcases his skills at drawing aquatic settings. His use of pastel coloring along with his hyper-stylized lines produce a stunning end product. 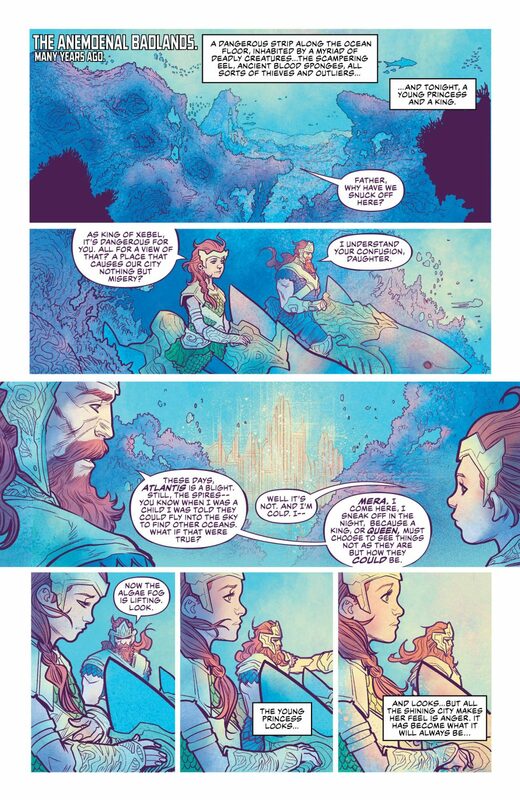 Also, as always, Manapul’s dynamic layouts are wonderful. 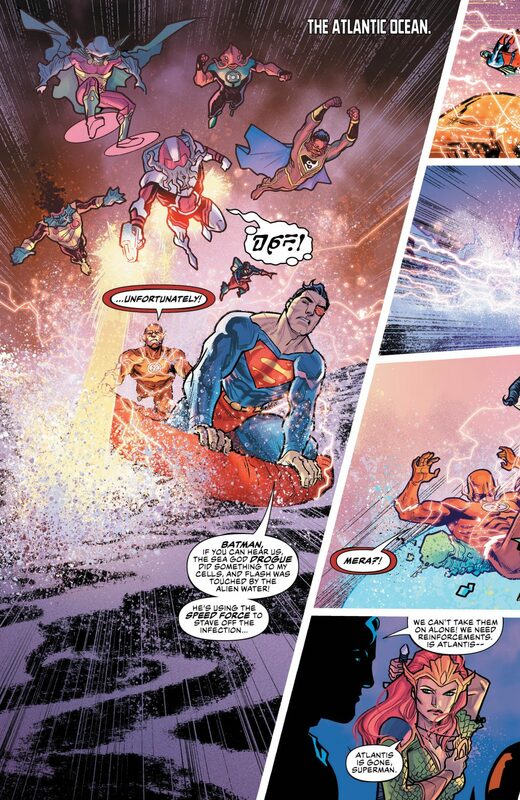 Justice League #11’s script is fast-paced, jumping from one plot to another. Manapul’s work really captures this frantic tone, as he utilizes energetic panels on two-page spreads multiple times throughout the issue. The effect is brilliant, as the visuals truly carry the gravity of the narrative. Justice League #11 is a dazzling tour de force. Snyder’s bombastic script is fun and fresh, bringing a wonderful mix of high concepts and melodrama to the title. 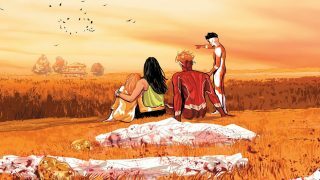 Francis Manapul might be DC’s most talented artist right now, and Justice League #11 shows off his skills as both a penciller and colorist. Do yourself a favor and buy this book. I promise it’s worth it.